In 2013, when I was elected to the Lynwood Unified School District Board in California, we voted to renew a partnership that had recently lapsed with an organization that recruits idealistic leaders of all ages to become teachers: Teach for America. Five years later, I can say this decision has greatly benefited the students of our district. Teach for America teachers have helped spark a passion for learning in our students; our school board and community are grateful for their dedication and service. This is why I’m baffled by Assembly Bill 221, which would prohibit Teach for America corps members — explicitly and by name — from becoming teachers in public schools where at least 40 percent of students come from low-income families. This bill would make California the first and only state in the nation to ban Teach for America. This bill isn’t just targeting Teach for America. It is targeting the Lynwood community. Ninety percent of Lynwood Unified students live in low-income families, and many speak English as a second language. Assembly Bill 221 is being heard in committee this Wednesday. If it passes, our school district will be barred from hiring TFA teachers beginning in the 2020-21 school year. TFA is one of 80 approved pathways through Loyola Marymount University that meet state requirements for an intern-credential. 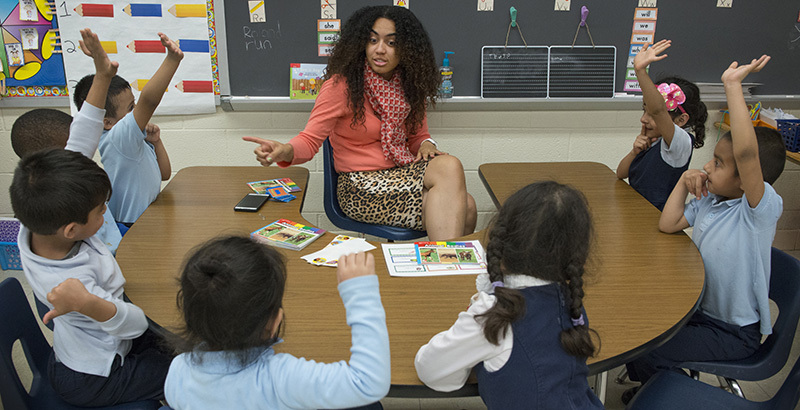 Eliminating a teacher preparation pathway designed to serve vulnerable students will have a devastating impact on the ability of public schools in high-poverty communities to find and hire credentialed teachers.